Fernne Brennan is a Senior Lecturer Law in the School of Law and member of the Human Rights Centre (Essex). 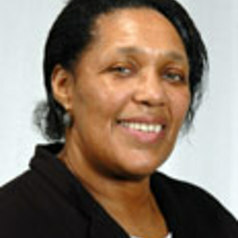 Her extensive publication record covers institutional racism, discrimination, human rights and justice and hate crime. Research expertise focuses on institutional discrimination see for example Ethnic Minority Representation on Juries – A Missed Opportunity at www.internetjournalofcriminology.com/ijcarticles.html. She leads three major projects: Slave Trade Reparations, Gender Mainstreaming and Hate Crime. Slave Trade Reparations where she leads a team of international experts examining the question of reparations for the Transatlantic Slave Trade. Following a successful conference in at Brunei Gallery with the School of Oriental and African Studies (University of London), the Centre for Commercial Law Studies (Queen Mary University, London), the School of Law (Essex) and the Human Rights Centre at Essex, an Expert Advisory Group is developing collaborative projects in this area. Apart from work on a collection entitled: Colonialism, Slavery, Reparations and Trade: Remedying the ‘Past’? edited by F. Brennan and J. Packer, Fernne has developed using a website STeR with colleagues at the University at Essex which can be found at www.essex.ac.uk/reparations. Her publications in this field include Race, Rights Reparations: Exploring a Reparations Framework for Addressing Trade Inequality’, Hamline Journal of Public Law and Policy (2008), 'Time For a Change. Reforming WTO Trading Ruler to Take Account of Reparations', in J. Dine and A. Fagan (eds.) Capitalism and Human Rights (Edward Elgar Publishing Limited, 2006) and 'Are Reparations for Slavery Justified?' Human Rights Global Focus Group, International Human rights Foundation, India, Volume 2, Number 1, March 2005, pp. 5-17. Fernne is working with business partners to develop an e-learning programme that furthers her slave trade reparations work. Fernne has also been appointed as the Honorary UK Co-ordinator for the National Commission on Reparations - Jamaica since 2009.